Text marketing: it is a new era and this is the new way of marketing for the new era, especially if you are a church community. The benefits of text message marketing for church communities are extensive; small and large churches alike find it an essential way to reach all of the members of a church. 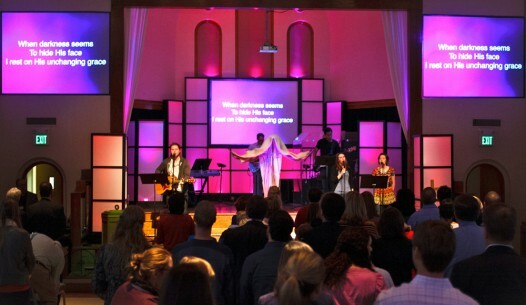 Church text marketing enables you to quickly reach the congregation for any variety of reasons. What is Church Text Marketing? Text marketing is a form of marketing to a specific group of people, or in this case the church community, via their cell phones. You contact members of the church via text message for a variety of reasons, whether it is to inform them of church service changes, special events or prayer requests. Text message marketing is not something that can be freely sent; it is permission based so you need to have permission from those that you will be contacting. An ’opt-in’ option is available for this. Almost everyone has a cell phone these days, even older adults. Text marketing is not limited to smartphones. Individuals with regular cell phones can use text messages to communicate with the community as well. Text message marketing enables you to reach a specific group of people. For instance, your message can be sent only to the deacons and elders in the church, or it can be sent to the entire congregation. It takes seconds to put together the message and send it to those people, whether it is 10 people or 1010 people. If you need affordable marketing, text message marketing is the way to attain that. A few cents per message and you have the best form of marketing in your hands. You will find your church can use text marketing in numerous ways. Here are some of those. Church text marketing can benefit congregations small and large. However, if you want to benefit with text marketing it is essential that you learn how to perform it efficiently. One of the most important things to keep in mind is that you shouldn’t ‘bother’ people with messages. Keep in mind that not everyone has free messaging service, and that last thing that you want to do is start causing them money because of excessive messages. Reserve text marketing only to one to two messages per day or week, and make sure that each message provides beneficial information to the recipient. Most importantly, never forget that face-to-face communication can never be replaced. Nothing can reach the audience better than communicating with them on this very personal level. Sure, church text marketing makes it possible to send out messages and important information, but you should never forsake the time that you have to spend with those in the church. SMS marketing for churches is a suitable way to spread the message, and it is worth considering to use within your church community.